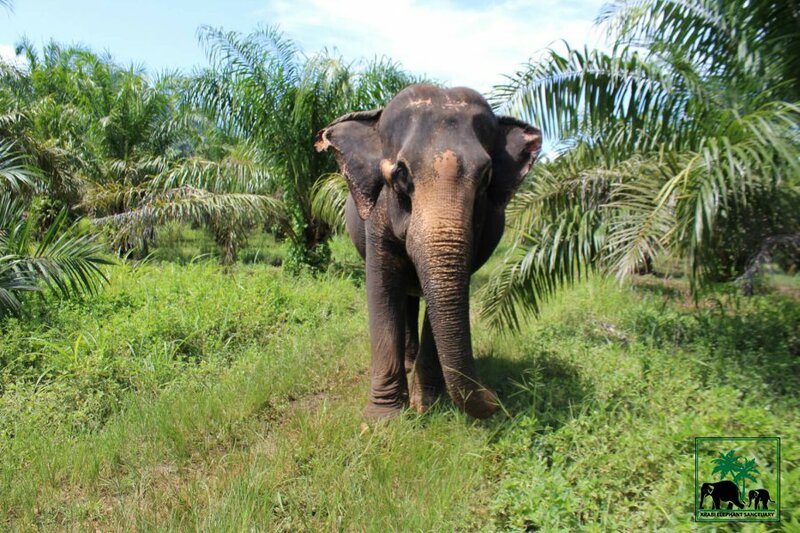 In our sanctuary, she lives in a new way she had never experienced before. 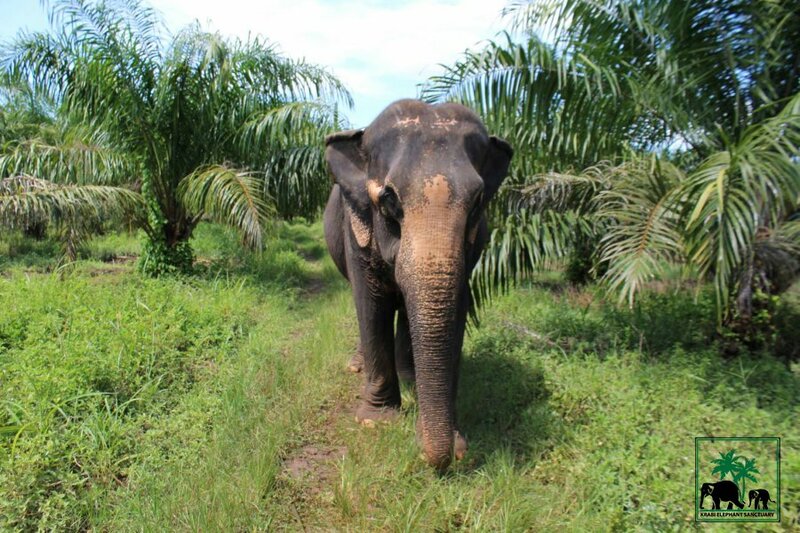 The joy and brightness of her interior shone like the moonlight at night glittering out through her eyes. 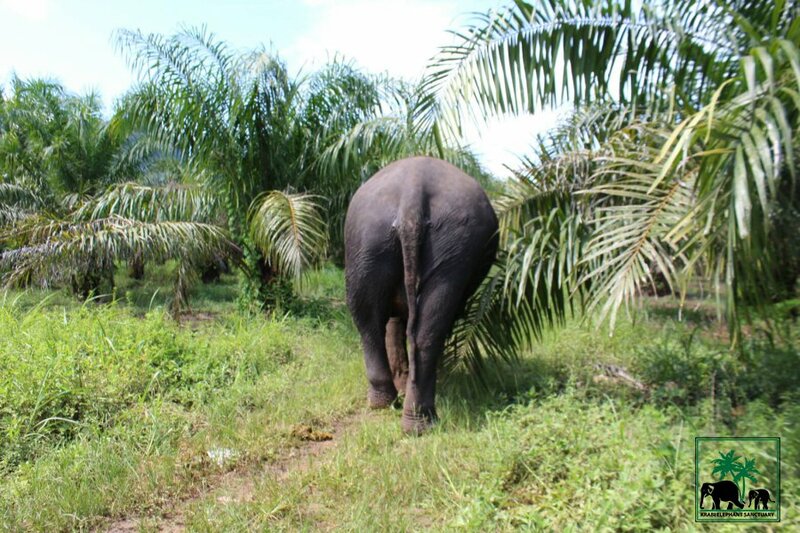 Hope this forest will be her home that she will love to live in. 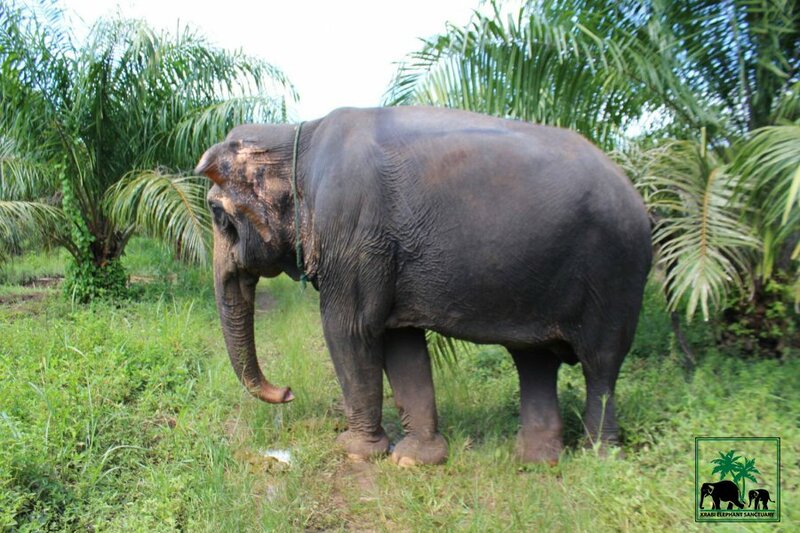 Mae Ploy a lovely 38 year-old elephant in this sanctuary. 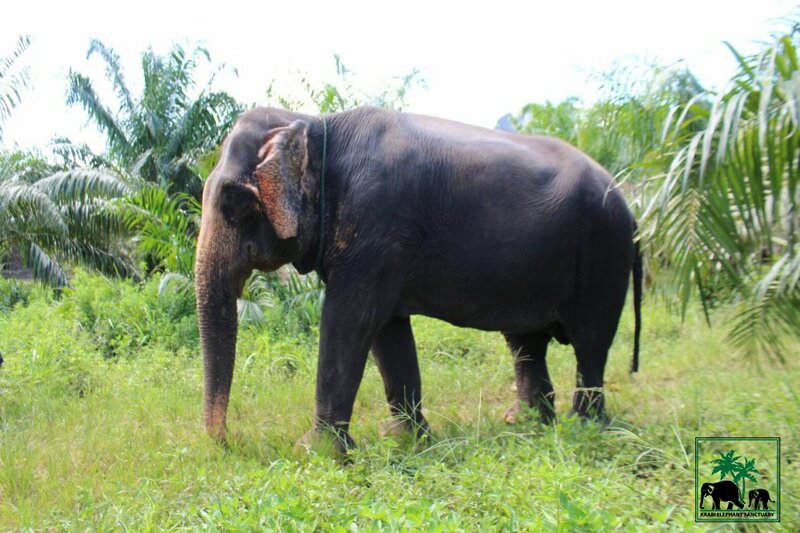 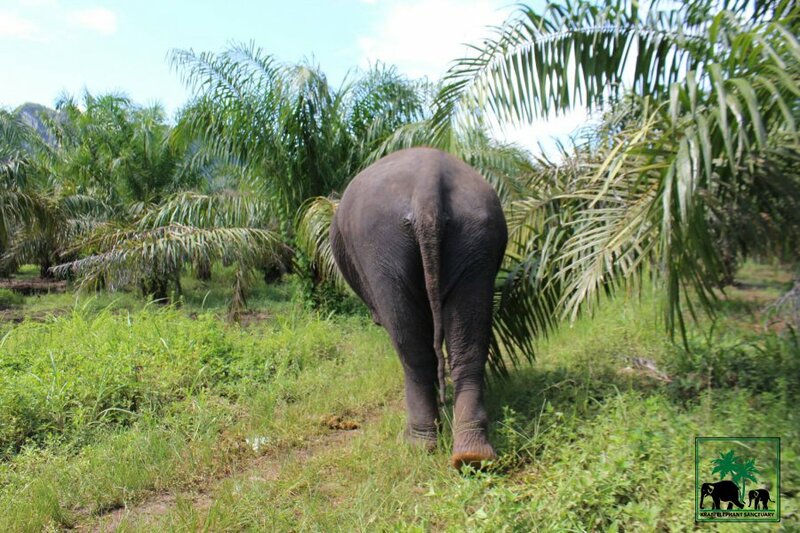 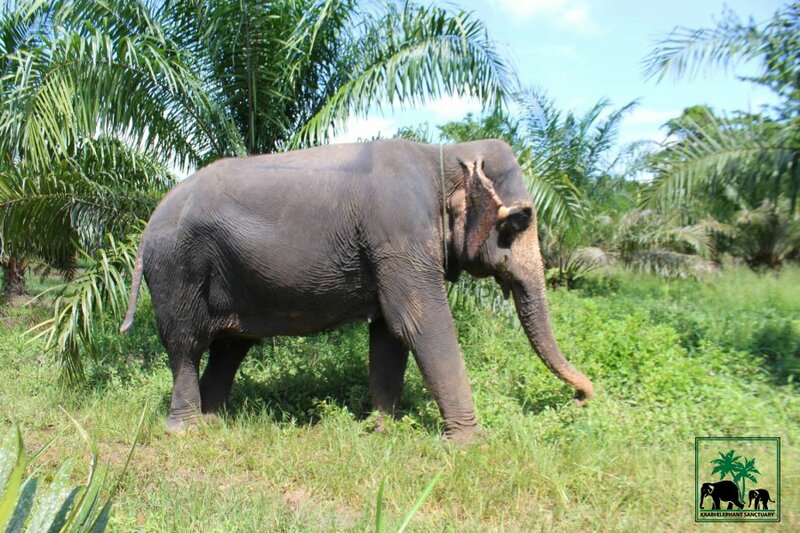 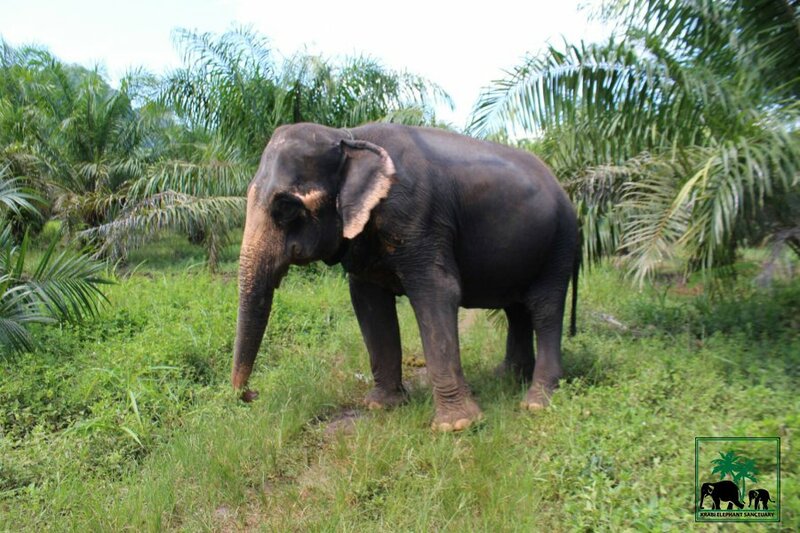 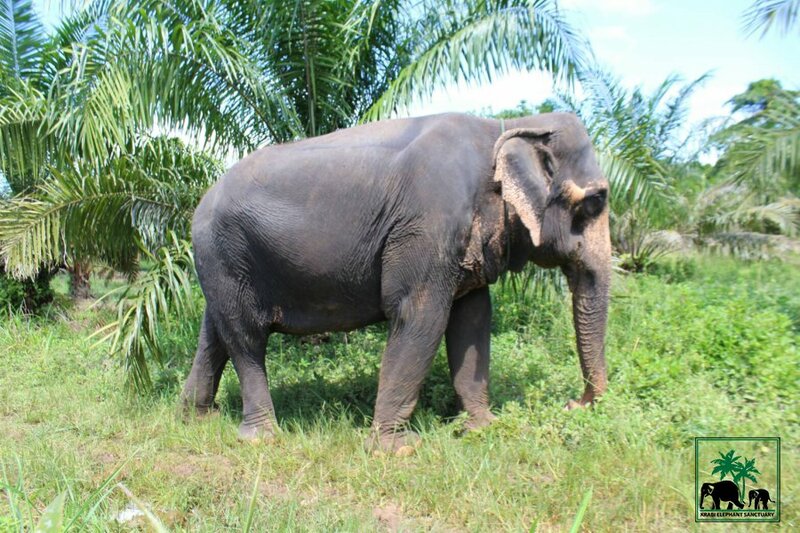 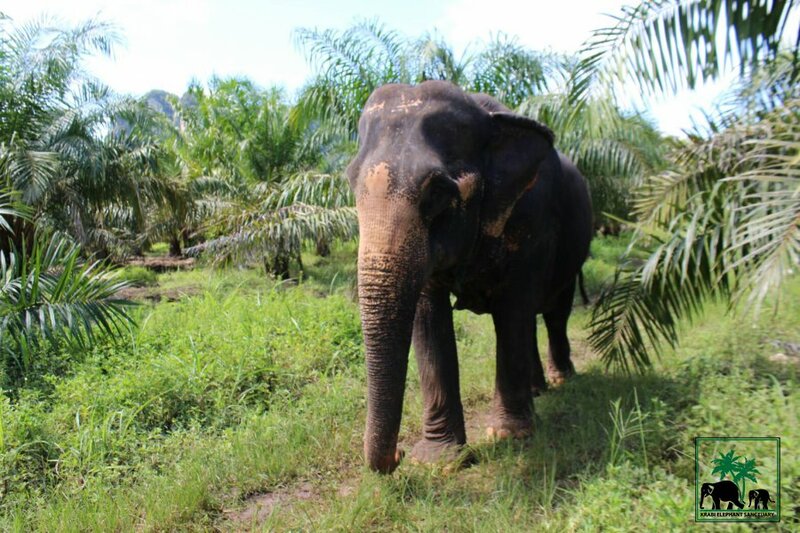 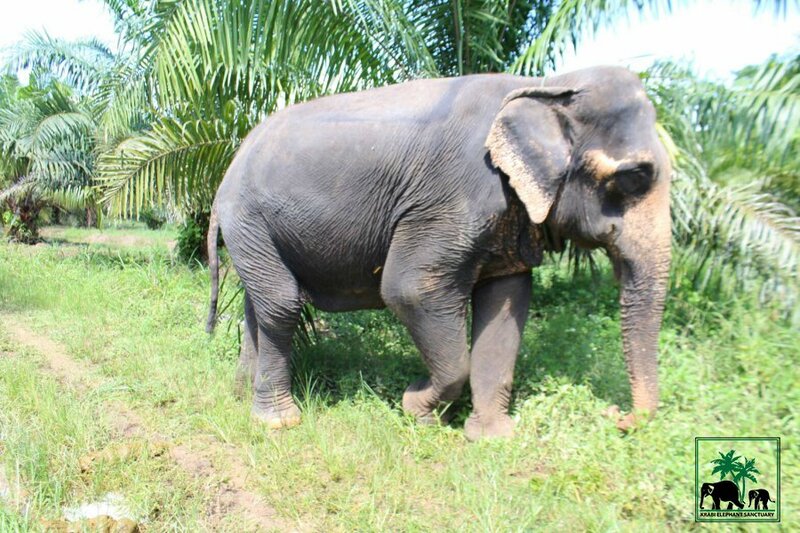 Mae Ploy had a similar life like other elephants in our sanctuary. 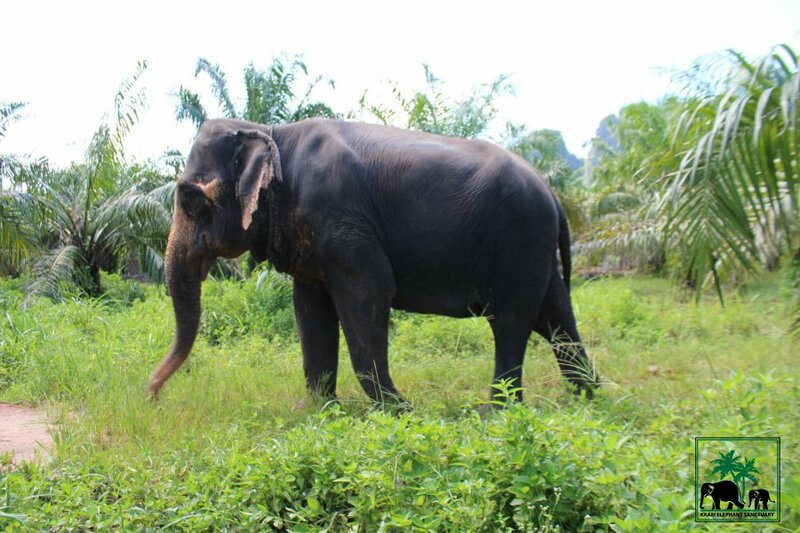 Mae Ploy has moved here from on Jan 20, 2018. 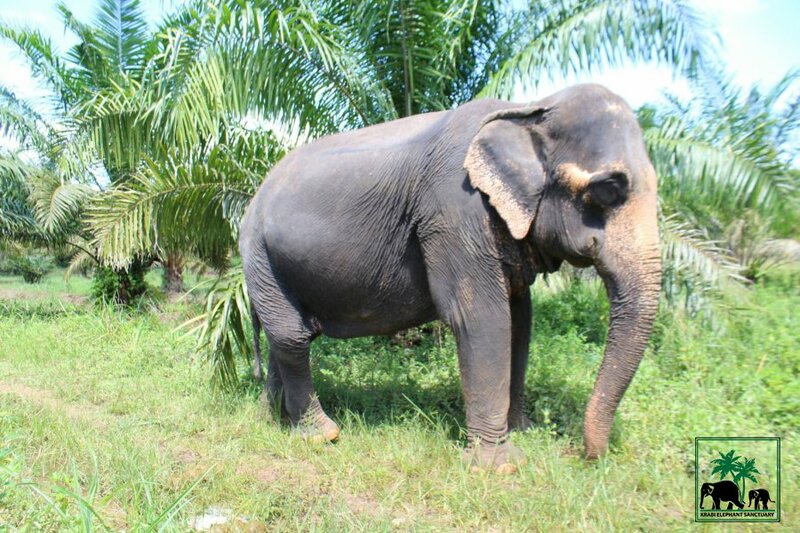 She slowly adapted herself to the new environment on the tree-filled area, the pond, and the elephants that have been rescued. 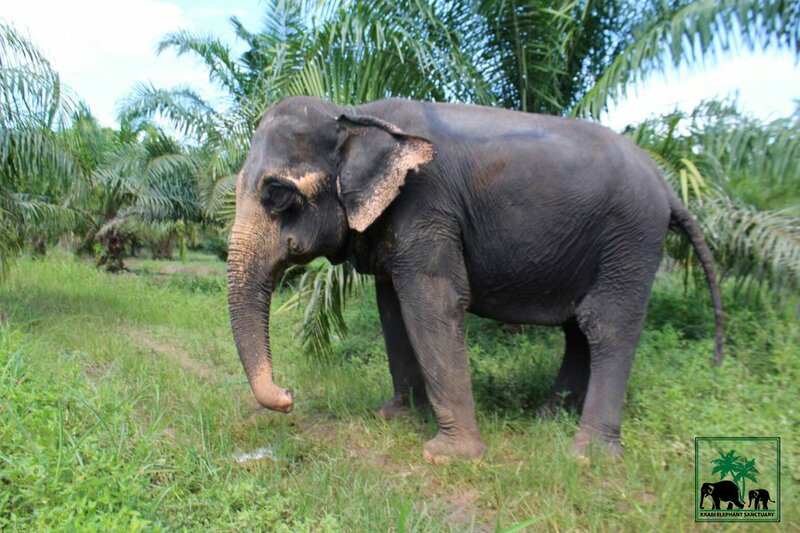 She learned to trust her new mahout. 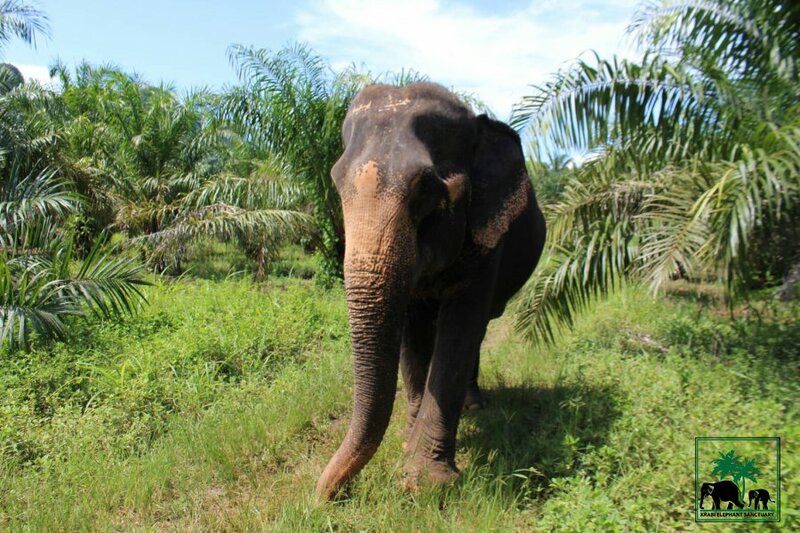 She enjoyed living freely in the way she wanted to do without ordering from the mahout, enjoyed wandering around our sanctuary and enjoyed playing, splashing water and soaking up the mud.